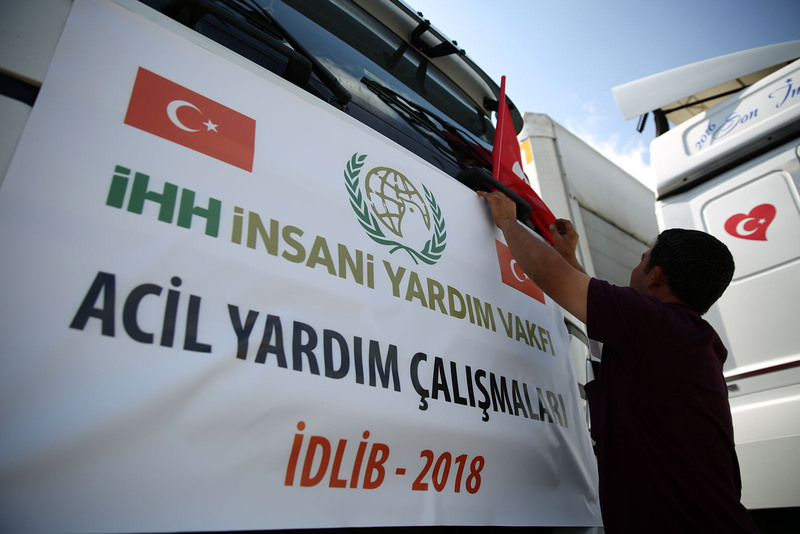 IHH launched an emergency aid campaign for the region following the recent attacks on Idlib. 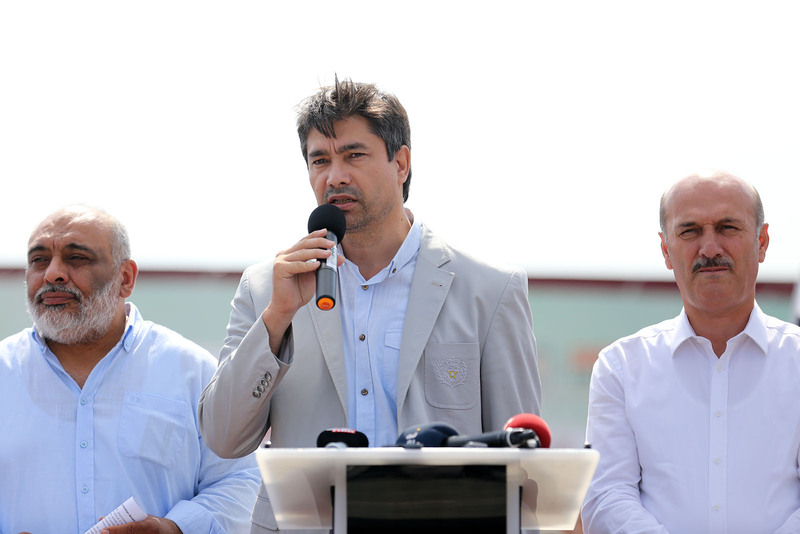 This campaign was launched by sending 20 trucks carrying humanitarian aid to Syria from Kazlıçeşme Square. As a result of the attacks launched by the regime forces and Russia, the lives of more than 3 million civilians in Idlib are at risk. Since the crisis in the region began, IHH Humanitarian Relief Foundation has continued to provide support to Syrians. 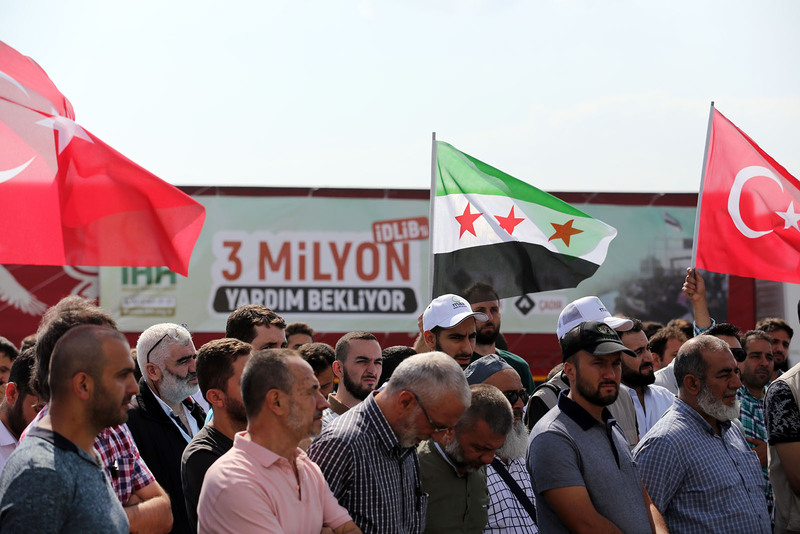 With the slogan “3 Million Waiting for Aid in Idlib”, IHH awaits support from donators. In Syria, the intervention of international forces that began with reform demands and later turned into an arena of a global feud, the loss of human lives is increasing. In the war where 500 thousand people have lost their lives so far, 2 million people have been disabled and 5 million were forced to leave their homes. A majority of the refugee families, who are having great difficulty in supplying their daily food needs, are in desperate need of basic necessities including hygiene supplies, food, flour and tents. 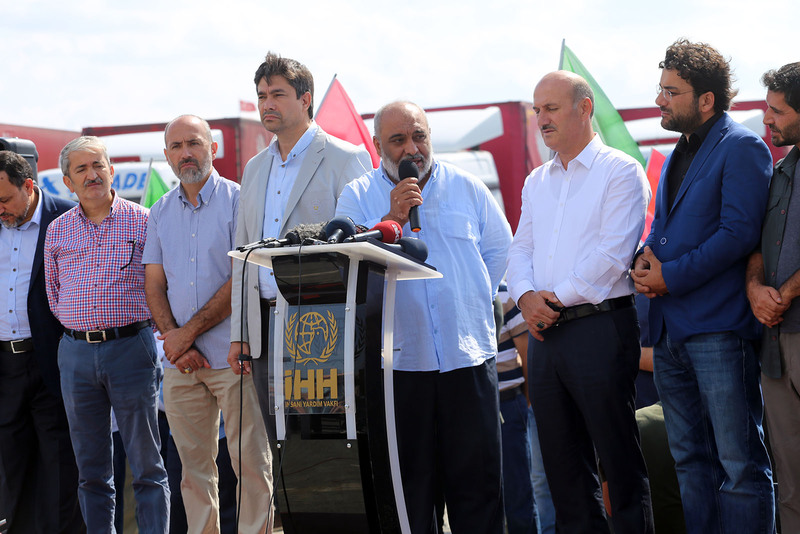 A press briefing was held at Istanbul’s Kazlıçeşme Meeting Area to raise public awareness to this tragedy in Idlib, and send the humanitarian aid trucks to Syria. 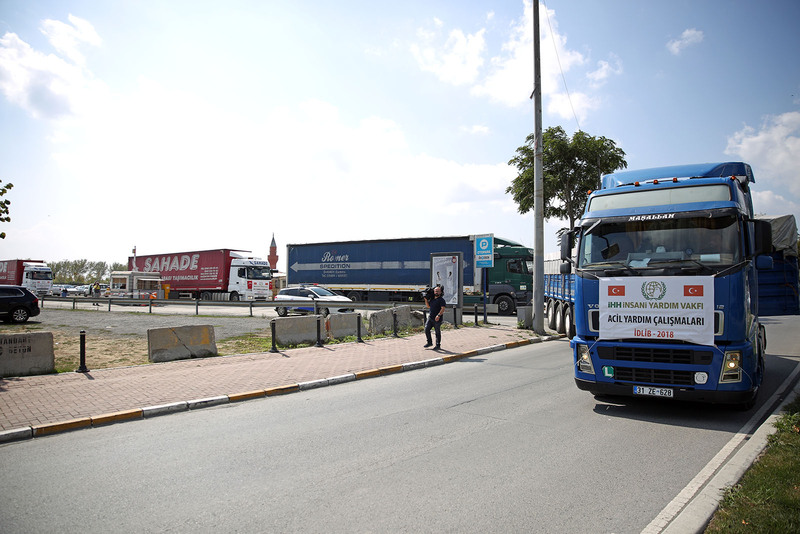 As a part of this campaign, IHH initially sent 20 trucks to the region. “We have been involved in war zones for 30 years. Unfortunately, every war has a negative impact on humanity. However, in this war we see that international law has been totally pushed aside. Unfortunately it is not only Assad’s soldiers fighting there at the present. While the powers that control the entire world are killing children, murdering women they talk about their great plans. As these states wander around the labyrinth of diplomacy, children’s arms are being severed. We are with the aggrieved. There is immorality to the extent that they are dropping barrel bombs. They are targeting civil defense teams with these bombs. Russia is also bombing these areas. On top of this, the civil defense teams are targeted when they are trying to rescue children or clearing debris to reach victims. When this does not satisfy them, they resort to bombing hospitals. In the most recent attack on a hospital two doctors were martyred. It has come to the point where they do not want any civil defense teams, hospitals or aid organizations to remain in the region. “I am appealing to aid organizations. Please mobilize all your forces to meet the needs of our brothers and sisters. No bread is being produced in the bakeries at the present. The people are hungry. 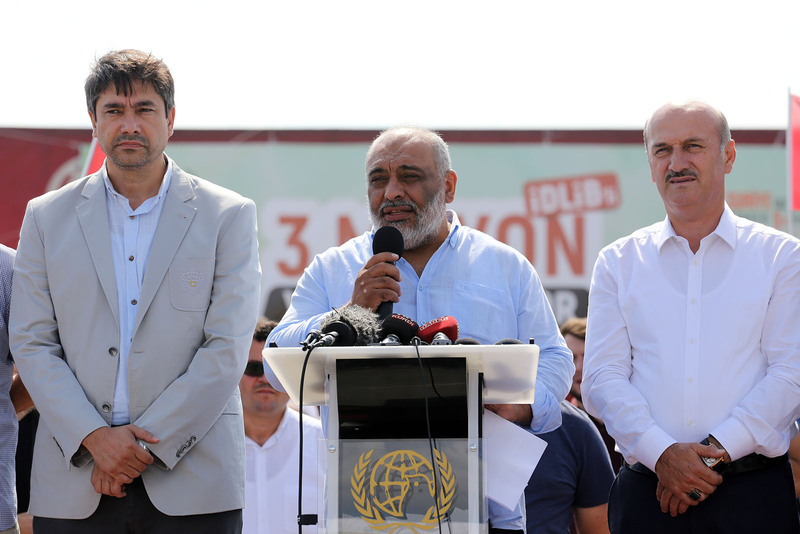 Due to the difficulties in the region, aid was already unable to reach a majority of the people. With this new wave of refugees, there will be an increase in basic needs. As IHH, we publicized the items of aid needed. We are making every effort to supply these needs in the region with our 10 coordination centers. But this is not something Turkey can accomplish alone. I am appealing in particular to the Arab geography to take action. After the speeches the trucks departed for Syria.